#isic8549TZ - Other education n.e.c. 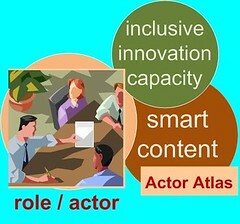 to support training and capacity building in [http://www.actor-atlas.info/fgc-map:0131 ] as well as for private sector. Tanzania Global Learning Agency (TaGLA) has been established under the Executive Agency Act Cap 245 and is a member of the Global Development Learning Network (GDLN). The vision is to be a Global Hub of Choice for Knowledge Generation, Transfer and Sharing. The mission is to build capacity of the public through innovative global development learning programmes and technology based knowledge sharing platforms for the delivery of quality services. Questions, answers and comments about Tanzania Global Learning Agency (TaGLA) in Tanzania?